Cataract surgery is a routine procedure for most surgeons. Since cataracts affect so many people, it’s common to need them removed. In fact, cataract surgery is one of the most performed medical procedures in the country! It’s proven as a safe and effective procedure. 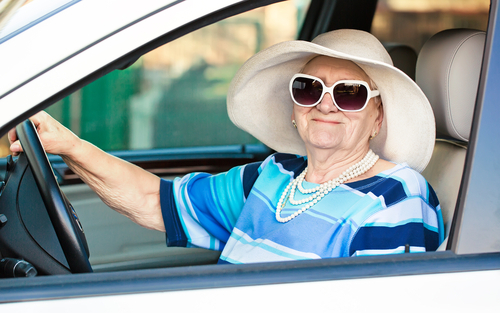 You shouldn’t drive at least 24 hours after cataract surgery. You may even want to wait longer, as many people have light sensitivity for a few days after surgery. Play it safe and wait until you know you can see the road well enough to drive! Makeup is full of bacteria! It’s harmless as long as you don’t share makeup, but your eyes are more prone to infection while healing. Skip the makeup until your follow-up appointment with your surgeon and ask when it’s safe to use it again. If you are going to use makeup after cataract surgery, you should buy new makeup. This is especially important when it comes to eye makeup like mascara, eye shadow, or eyeliners. These can easily transmit bacteria into your eye if you’re using old makeup. Until your surgeon says you can stick to light activity only. Avoid heavy lifting, exercise, and other strenuous activities. Exercise can cause complications while you’re healing. You’re at higher risk of having an accident if you’re doing anything physically taxing. So take it easy for a while! Now isn’t the time to dust your house! You should avoid activities and places where there’s a lot of dust or dirt in the air for a while. If you cannot avoid dust completely, wear protective eyewear if you’re around it. Goggles are preferable over glasses to prevent anything from getting in under the lenses. You shouldn’t even get water in your eye, so when you shower, be sure not to have the shower head aimed at your face. You also should completely forego any trips to a pool or hot tub for two weeks. Chlorine can be dangerous for your eye even when you’re not recovering from cataract surgery. Don’t risk getting in a pool or hot tub, even if you keep your head above water! You should wear sunglasses outside, but it’s even more important after cataract surgery. Protect your eyes from UV damage and don’t go out unless you have a good pair of sunglasses on! Whatever you do, never rub your eye! It may feel itchy or irritated but rubbing it will make it worse. Rubbing your eyes can cause serious complications. Most acute discomfort dissipates a day or two after surgery. If you are still uncomfortable, you can treat your pain with painkillers or eye drops. If your discomfort persists after a few days, call your doctor. Think you or a loved one may need cataract surgery? Contact Georgia Eye Associates for an appointment in Buckhead, Georgia today!